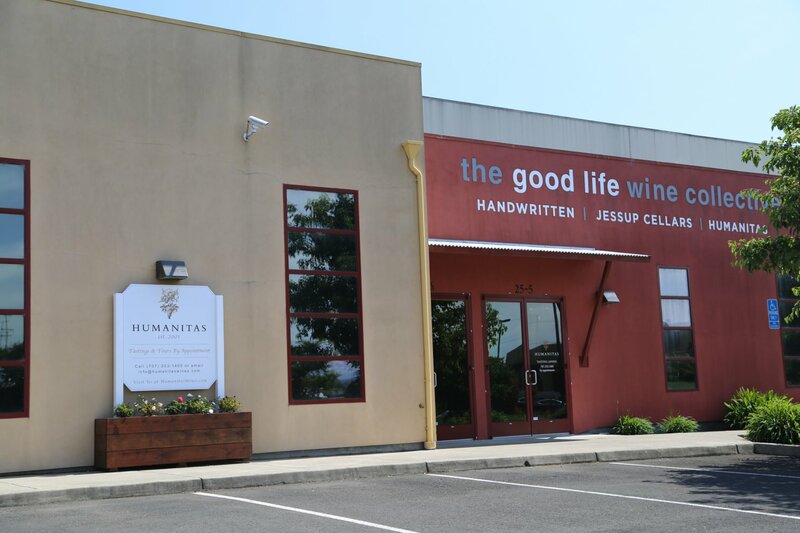 Humanitas Wines was founded by vintner Judd Wallenbrock in 2001; he operated the brand until 2017 when he sold Humanitas Wines to the Good Life Collective – the parent company of Humanitas Wines, Jessup Cellars and Handwritten Wines. 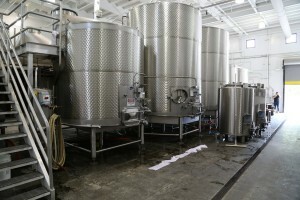 The physical winery is located in south Napa in a business park. We originally met with Judd many years ago when he was the President of Michel-Schlumberger Winery in neighboring Sonoma County. The focus of the winery is on raising money for charitable organizations – while the Napa Valley as a whole and the local wine making community supports a variety of charities through various events throughout the year, this is one of only a select handful of Napa based wineries whose entire focus is to donate a portion of the profits from the sales of their wine to charity (including those fighting hunger, helping with housing & education). Their financial contributions are directed towards specific regional charities within markets where their wine is sold – rather then given to charities at the national level. 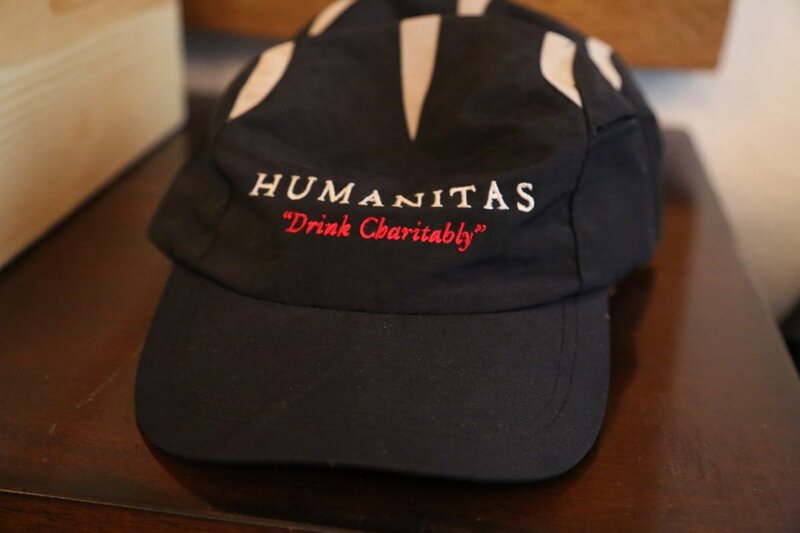 The Humanitas slogan indicates their philosophy simply enough using just two words, “drink charitably”. There are certainly a number of premium wineries in the Napa Valley who participate in charity events including donating wine, but to drink those, you will have to pay hundreds if not thousands of dollars. For Judd, the origins of the name Humanitas came randomly while on a trip to Florence. He spotted the word ‘Charitas’ carved on an old door along with an image of two monks handing out food. Humanitas is a Latin word with origins in Greece roughly meaning “loving what makes us human) and relating to the concept of Philanthropy. The wines are not made as an afterthought with proceeds going to good causes where the consumer buys the wine to feel good or as a gift because quality is lacking. This is not the case at all. 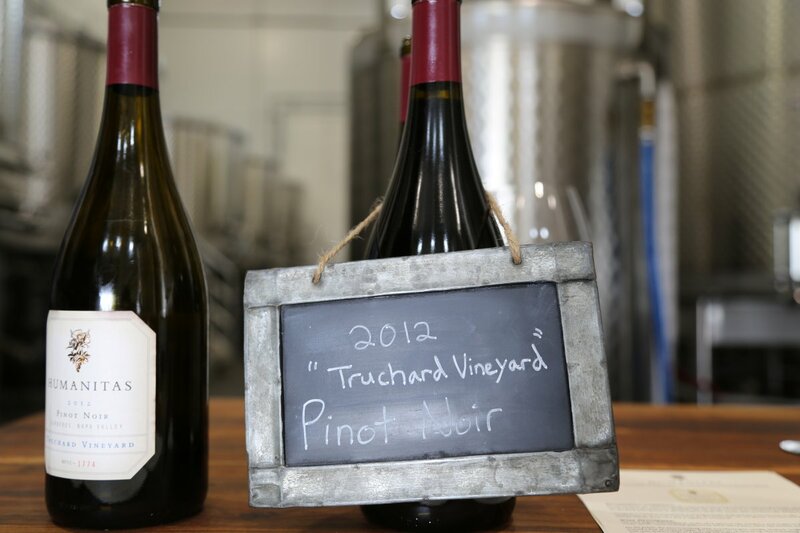 The wines are hand crafted from premium vineyard sources – some of their original vineyard sources came from Judd’s experience in the industry and knowledge of vineyard sources dating back to the 1990’s when he used to work at Robert Mondavi Winery. Judd described his original winery to us as the “Shed-Teau” the antithesis of a Bordeaux Chateau if you will. Small wineries such as this are often marked by a fancier smoother sounding word “garagist” but the Shed-Teau amply described his tiny bonded winery. For $600 he built what presumably was one of Napa’s smallest commercial wineries at the time – in his backyard. 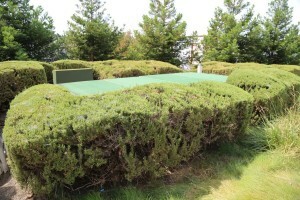 The small shed like structure stood on a footprint of merely 120 square feet. He compares the start of Humanitas to how the founders of Hewlett-Packard got their start – in the garage. 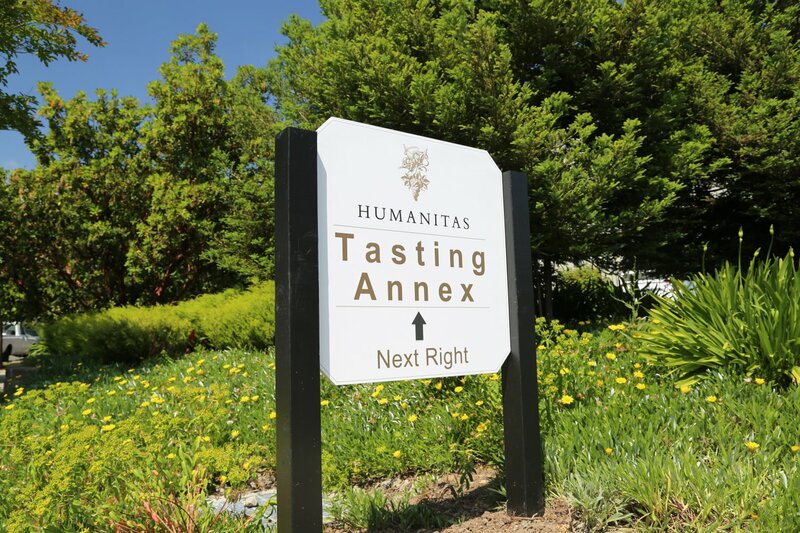 As of the latest update to this review, the grapes for Humanitas Wines are sourced from high quality vineyards typically on California’s Central Coast, Sonoma County and from a premium vineyard in the Coombsville region of Napa. 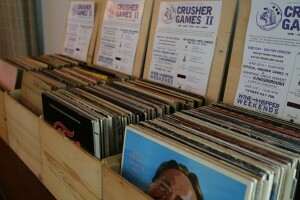 Their initial release was in 2000, self titled “IPO” as Judd called it, or Initial Pinot Offering. 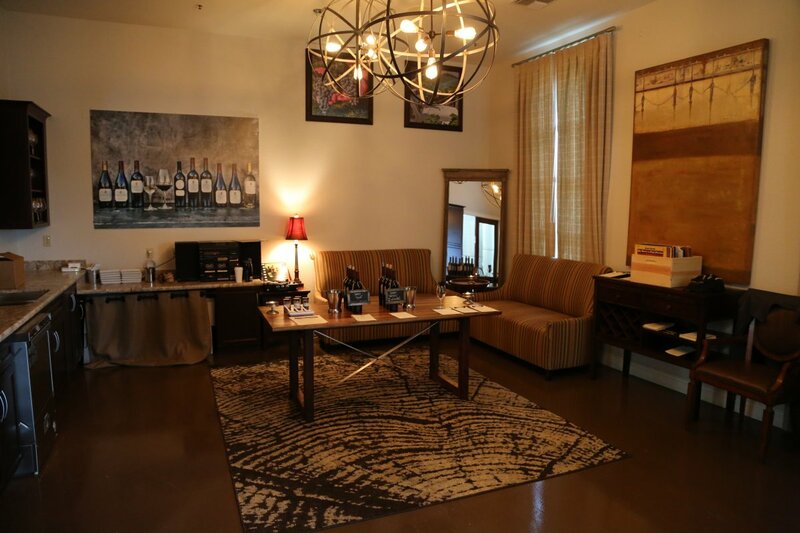 This wine was originally marketed by an email that Judd sent to 200 of his friends, colleagues and family. Imagine his surprise when orders started coming in within hours from people not on this original email list. Humanitas makes several white wines. 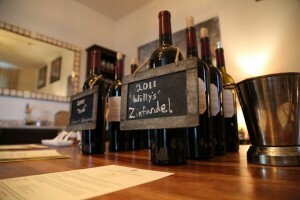 Many of their wines have been inspired by a specific incident or an individual. The Sauvignon Blanc, however, was inspired by Judd’s own love of this varietal. The 2006 Monterrey county sourced vintage has nice citrus aromas, is crisp yet shows fruit forward characteristics. It finishes soft and smoothly. The 2006 Chardonnay is a delightful wine that sees no oak. Great up front fruit flavors include pineapple, peach and even seductive hints of banana. 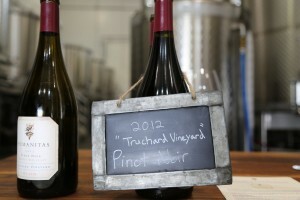 The 2006 Pinot Noir is sourced from an all hillside vineyard in the Sonoma Coast region. This is a medium bodied wine with noticeable earthiness that shows on the nose followed by pleasing flavors of raspberries and cherries on the palate. 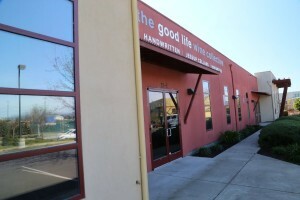 Humanitas also made a hand crafted premium wine from the well-known Caldwell Vineyards in the Coombsville part of Napa. 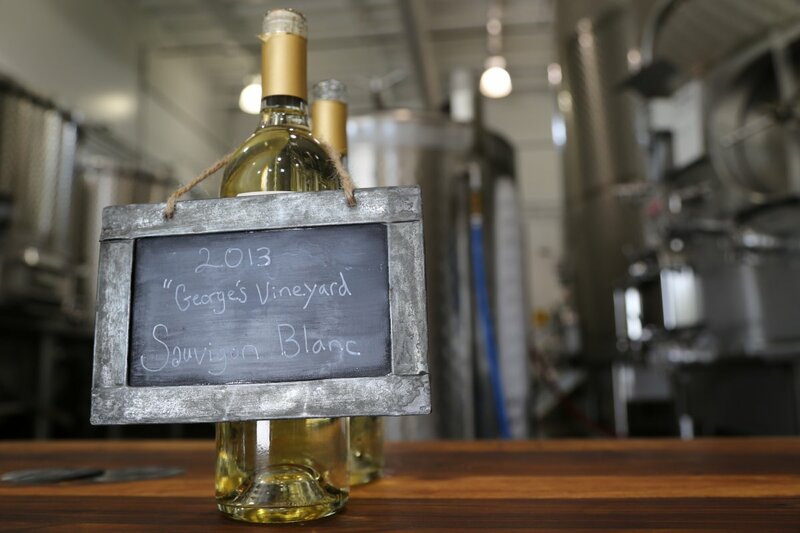 The 2103 ‘George’s Vineyard” Sauvignon Blanc is one of the nicer and more balanced Napa wines from this varietal that we have tried. The vineyard is located in Wooden Valley (somewhat to the east of the city of Napa). Very well balanced between fruit, weight and acidity. Humanitas was among the first of the Napa wineries to use what is called the Vino-Seal enclosure (glass which slides out after you break the seal). This enclosure is 100% effective against TCA or cork taint, plus its pretty cool to look at. 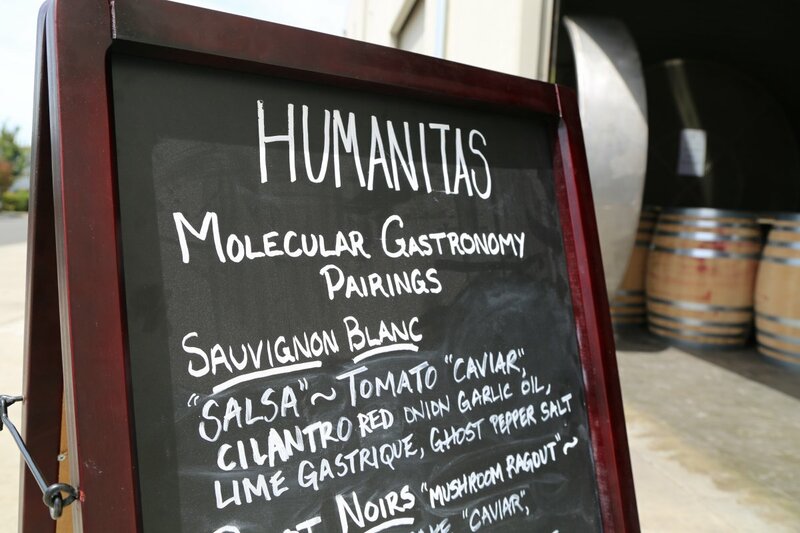 As of the time of this review, Humanitas is distributed in merely several states (good California distribution) and can be found locally in the Napa area at the Bounty Hunter and sometimes at Backroom wines, both in downtown Napa. Tastings are by appointment at the Good Life Wine Collective located in the “Crusher” Industrial park district in the southern part of the city of Napa. The cozy tasting room is located in the front of the building (there is plenty of parking here) and the winery sits in the back of the building. Despite being in an urban setting they have creatively installed a Winery Wastewater Treatment System at the edge of their parking lot bordering Enterprise Drive. 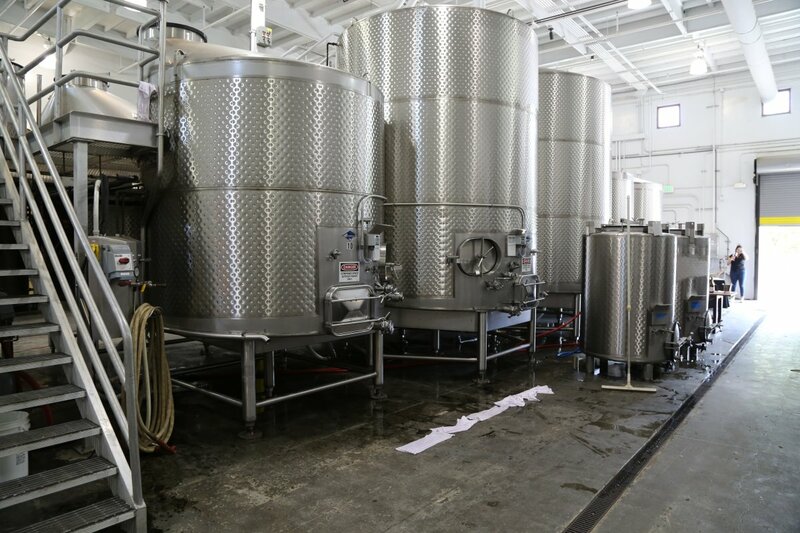 This system connects to the drains within the winery building and uses microbes to treat and break down the wastewater.